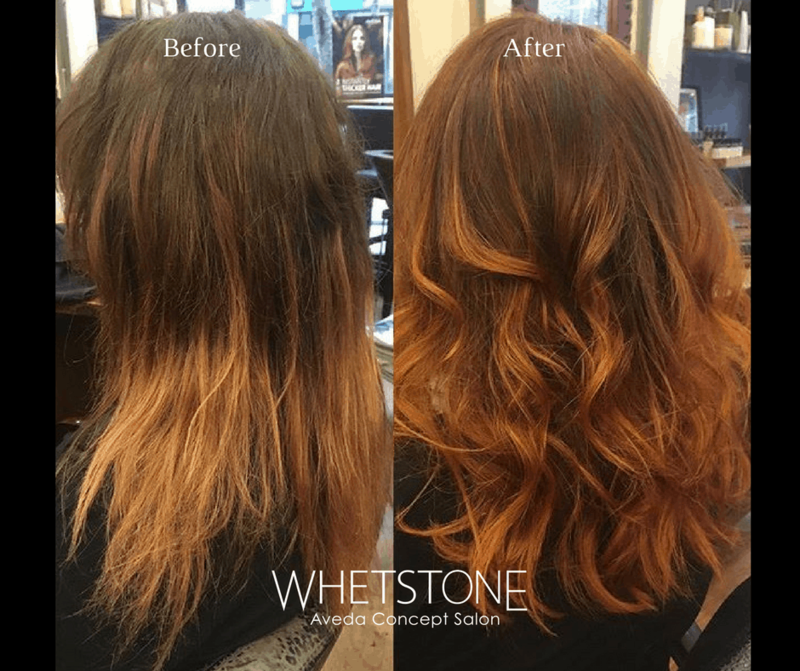 Gemma Kilbane, Senior Art Director @ Whetstone Aveda Concept Salon did subtle AVEDA highlights & used a vibrant semi permanent ladies AVEDA Colour all over to transform this full head of faded hair into a beautiful healthy & vibrant look. For the cut Gemma Kilbane added soft long layers which enhanced the tones & natural texture of the clients hair. Another very happy customer at Whetstone Aveda Concept Salon, located in the heat of Dublin city, Parliament Street, Dublin 2.